It has been a very busy but awesome 4 weeks since the last update. The first work team was scheduled to arrive on Saturday, January 16th/ the first day of PA’s big snow storm (which I am just so sorry I missed J ). Of course their flight was canceled and they weren’t able to come in till the following Wednesday. With the dates of their trip changing that meant it would overlap into the following week, which meant we had two large teams here at the same time. It seemed pretty intimidating with the thought of 20 people in a three-bedroom house but everyone was so understanding. Some of our boys pitched up tarps and took their air mattresses up to the roof, and some ladies found spots on the porch. As always, God provided. For the past almost 4 weeks of work teams had an awesome crew of men and women who endured the grueling task of carrying buckets of water and cement to finish the foundation & pour the floor of the children’s home as well as lay the roof of the second floor on the depot. Because we don’t have continuous running water we have to go down to the river to fill buckets. It is difficult and draining but I did not hear a single person complain. Every task was turned into an adventure filled with bruises, laughs, dirt, and smiles. What I appreciate most about the work teams is their willingness to do whatever they are asked. 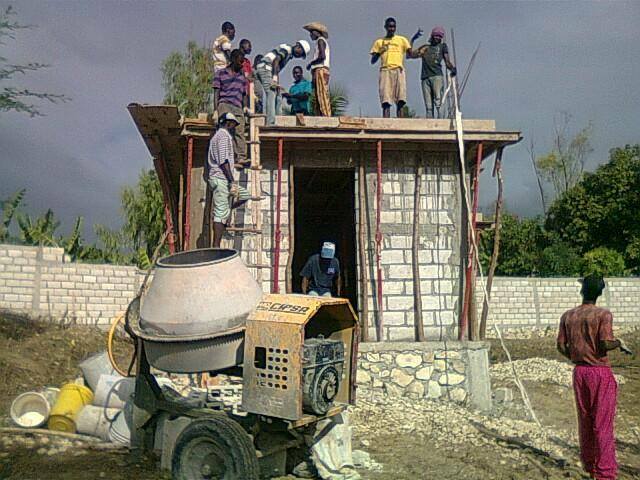 Because Haiti is so underdeveloped, compared to the states, every job in construction is done by hand. As I said, water is not delivered. Rocks do not come already crushed. Sand does not come already sifted. We don’t have skidloaders and fork lifts to transfer the materials. Every task takes 5x as long as it does in America. You learn what hard work truly looks like (and feels like) in Haiti. So to take a week off work in the states and then PAY to come to a third world country to work harder then you probably do at your normal job…that’s a big sacrifice! Thank you is not sufficient but I can say that I know God will bless them richly. If you have ever come to Haiti, you probably know Mama Ruth. Today is her birthday and I want to give her a special shout out! Ruth Burkholder is a beautiful, kind hearted, 77 year old woman who has made a pact with the Lord to come to Haiti every time Cindy brings a team as long as her health allows. Ruth’s presence over these last 4 weeks has been such a blessing to me. She was my saving grace when I was experiencing culture clashing and helped me relax by taking Abe when he just would not stop crying. She is leaving tomorrow and I will miss her dearly. But THANK YOU Ruth for all the ways you blessed me here in Haiti these past 4 weeks but most importantly for your willingness to serve the Lord and bring others closer to him. Every time I was at my wit’s end these last couple of weeks, you were there to remind me of God’s presence. Can’t wait to see you in April! Our dear friend, Melissa Wagner arrived two weeks ago and she will be staying with us until we leave in April. She has spent a lot of time in Haiti and is very well loved by not only our family but the community as well. She and I will be having English school together starting in the next two weeks or so! We plan on starting with the basics and working our way into vocabulary and sentence formation as particants progress and time allows. When I had school in 2012, our first day we had 30-40 people. Our second day 120 – of all ages – showed up! So it will be interesting to see what that will look like this time. We do anticipate the need for a children and adult class. Many people in Charrier are eager to learn English. As a Haitian, if you can speak English well there can be a lot more opportunities for you in the job field so we are excited to begin! Building update – The floor was poured last Monday. The days where we lay cement floors or ceilings are always my favorite. By just word of mouth, 80+ people showed up to help carry buckets of water, sand, or cement. It’s always a site to see as they sing and dance to pass the long, hot hours. Because we rent a mixer we have to finish the project in one day so it’s nonstop work till we’re done! All the workers are given breakfast of coffee & bread and then a hot meal of rice & beans with sauce on these days. We can’t afford to pay everyone but they are just happy to not only have a meal but to be apart of it all. 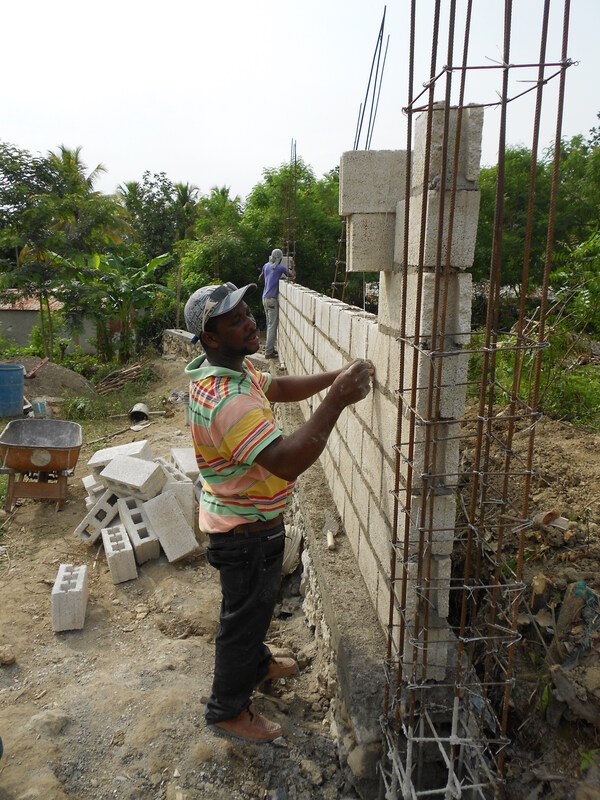 The phrase “it takes a village” comes to life when we pour cement J …This past week they began putting up the walls for the children’s home (see pictures). It’s just amazing the speed these guys work at. Watching a dirt patch turn into what it is now in just 6 weeks has been amazing! They started digging the septic hole, which in the pictures is at about 10 feet and they are going for 20 total! As for the rooms above the depot – the roof was poured several weeks ago and the forms have been removed. They are now in the process of smoothing over the interior and exterior walls to give it a nice finish. Soon they will finish the plumbing for the bathroom so we can hopefully move in by next month! A view of the children’s home floor after cement pouring was finished! A view from above of the children’s home walls going up! We will be busy the next couple weeks with building and English school. The next 2 teams come the first and second week of April. Thank you so much for your continued prayers – we feel them! God is moving in Haiti and we have been so touched to see the ways he is using just the building project to bless the community. For Abraham – he is still not sleeping well and all the dust has given him quite the cough so for good health and restful nights! Fidnel – a local young adult that recently accepted Christ. He is 22 years old and works every morning at the project then walks 7 miles to & from school every evening. He is striving to know and do God’s will for his life so please pray with us that he may continue to do so. For God’s will to be done in Charrier! Bonjou (good day) from Haiti! We are finishing up our 2nd week here and are happy to report that things are going so well! Before I left for Haiti I wanted to send out a quick blurb about our timeline while we’re here and what the next couple years will (probably) look like. SO! – We will be in Haiti for 4 months to begin construction of New Life Children’s Home. 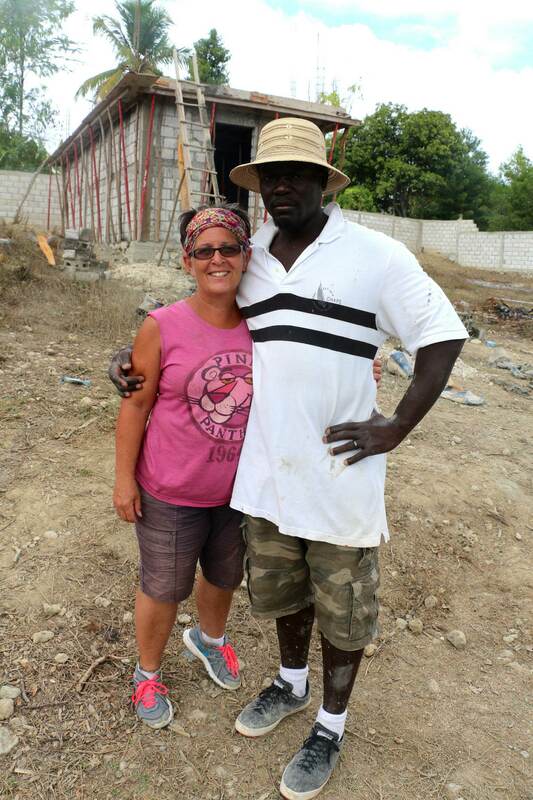 Zacharie has recently taken over the roll of Haitian Director for New Life mission and will also be helping Cindy Zimmerman, the American director lead and host 6 teams that will be coming to help with construction. We are only able to spend a couple months at a time in Haiti due to Zacharie being on his residency therefore we will be back & forth for the next ~2 years until he can apply for his citizenship. Both our jobs offered us the ability to return when we are home so we will be able to pick up where we left off which is such a HUGE blessing! By 2018 we hope to be full time in Haiti but for now we are happy that God is giving us this ability to travel back and forth. We really felt the prayers on travel day and Abe did so well on both flights! We arrived in Haiti on January 11th with Cindy, our pastor Kevin Horning, and Luke Ulrich, our friend. We got through immigration with no issues however after waiting at baggage claim for what felt like an eternity we realized one of our suitcases was missing. They advised us to wait for the next flight coming through from Miami so we did, only to realize it wasn’t on that flight either. Naturally, I began to panic and kept thinking that we lost all of our stuff! But right as this thought crossed my mind Zacharie turned to me and put both hands on my shoulders, smiled and said with a laugh, “We’re in Haiti baby!” And I had to smile back in agreement because he was right. The amazing thing was that the suitcase that we lost just had all our random stuff and/or extras. All of our necessities were in our other suitcases. We ended up getting our lost bag the next Friday when we dropped off the team at the airport so Praise God for that! But honestly the whole experience just helped me get into the right perspective that I needed for transitioning into this culture and mission work. Stuff is stuff! Not only can it be replaced but it my definition of “necessities” is always a laugh for Zacharie. For most of his childhood, his list of personal items consisted of a single T- shirt that was 3 times too big. We can survive on so much less than we think we need and I hope this whole experience helps me to keep this perspective…including when I’m in the states! Our first week in Haiti was filled with reunions, introductions for Abe, and of course, lots of hard work for Zacharie in beginning the foundation of the Children’s Home! Construction is going very well! God gave us the ability to bless 27 people with jobs this week! They finished digging the foundation and next they’ll place the poles & rocks. See the attached pictures! We also began the two rooms & bathroom over the Depot. This will be where Zacharie & I will stay when it is finished. Currently we are bunking in at the mission house on Mama’s land. We hope to be able to start building our own home next year. This past week our friends Hugo & Janae Tomas and their 1 year old daughter Gloria came to visit us! Hugo tagged along with Zacharie on his many trips to the city to get supplies as well as helped the guys at the job site. Janae & Gloria kept me & Abe company at the house and got to spend quality time with the family. They have a photography business and blessed members of the community by taking family photos. The people were so grateful as few people in the rural mountains of Haiti even have a single family photo. We loved having our friends support us and come to Haiti to share in the experience. We spent tonight, our last night with them, at a beach resort near the airport so that is why I have such a good connection that I can send out this email! Because we will be spending so much time in the mountain I expect internet to be few and far between. But I will leave you with that update and ask for continued prayers. We feel so blessed to have such amazing support from family and friends. 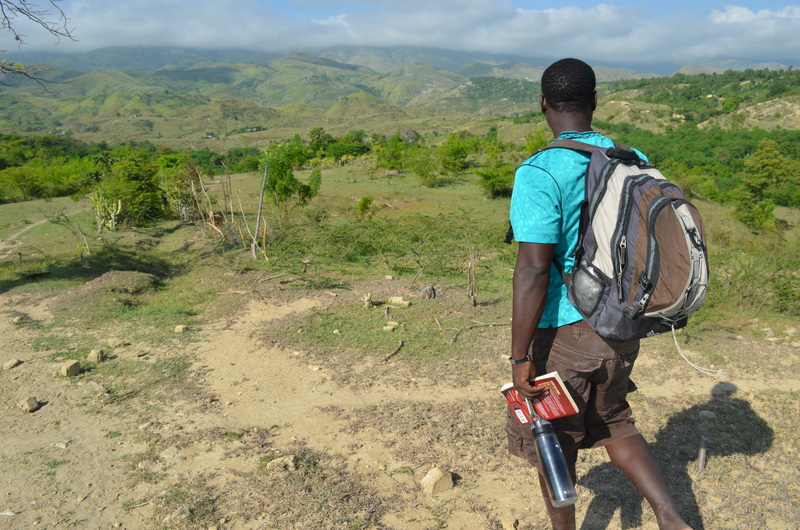 God is moving in Haiti and we can ot wait to see all the ways he will use us here! THANK YOU and will send another update as soon as I can! That was one successful Hoedown!!! 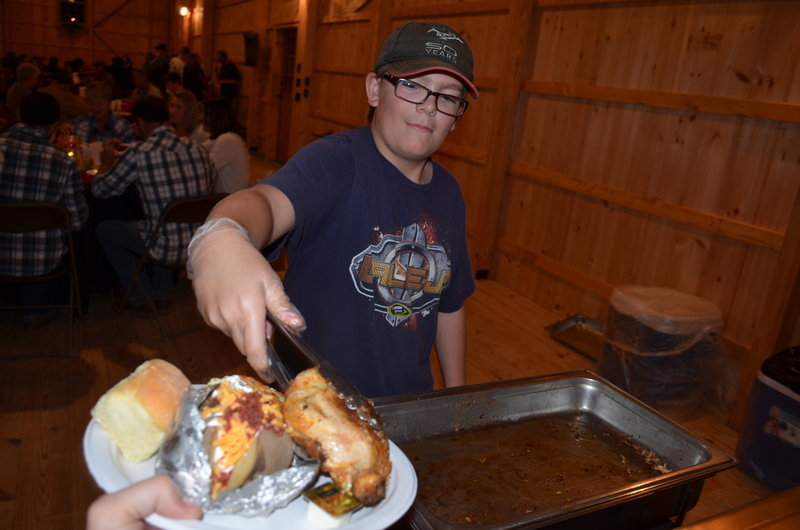 We cannot say thank you enough to all the folks who donated and attended the Hoedown for Haiti!! 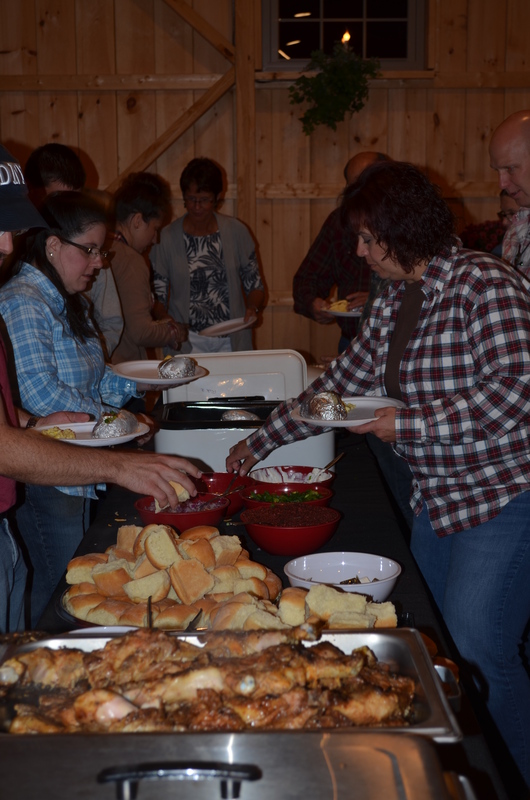 We had a blast hanging out with all of you – from the delicious chicken bbq made by J.R.’s Brisket to the variety of raffle prizes donated by so many different businesses to line dancing the night away – it was such a great time in fellowship with family and friends. 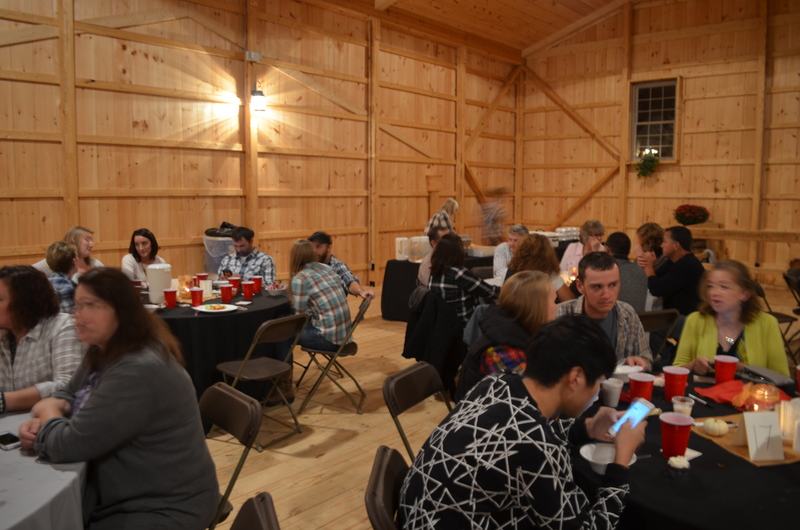 There were over 150 people in attendance and I can say we raised almost double of our initial goal of $10,000…bringing in nearly $19,000 for the children’s home construction project! Something I like to throw in is that we had just under $300 in expenses for this event! That shows you how many donations we had – the venue, the food, the DJ, and more ALL donated. How good is our God people?! I am absolutely blown away by the success of this event as it was our first year doing it, but we CANNOT wait to do it again next year! Now I would like to give some special shout outs to all our supporters/ sponsors / donors !! 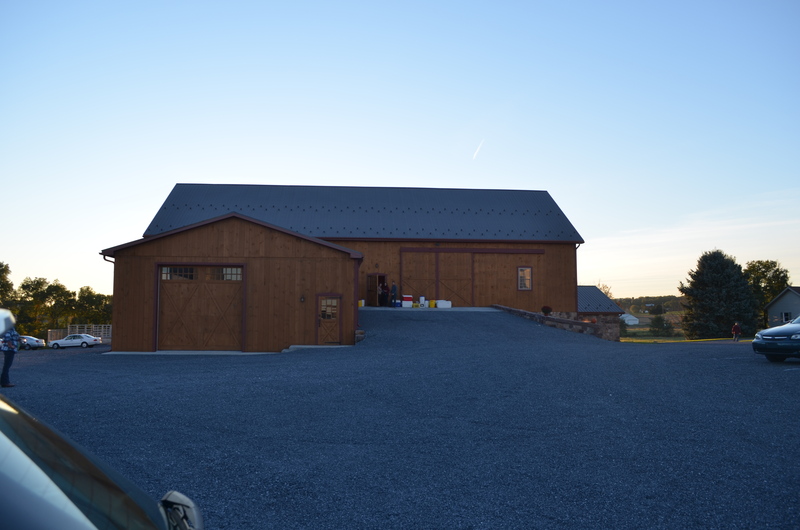 The Eby Family – thank you for letting us use your BEAUTIFUL barn! Jordan High – thank you for designing the invitations! Delvin Huber – Thanks for the delicious ice cream! 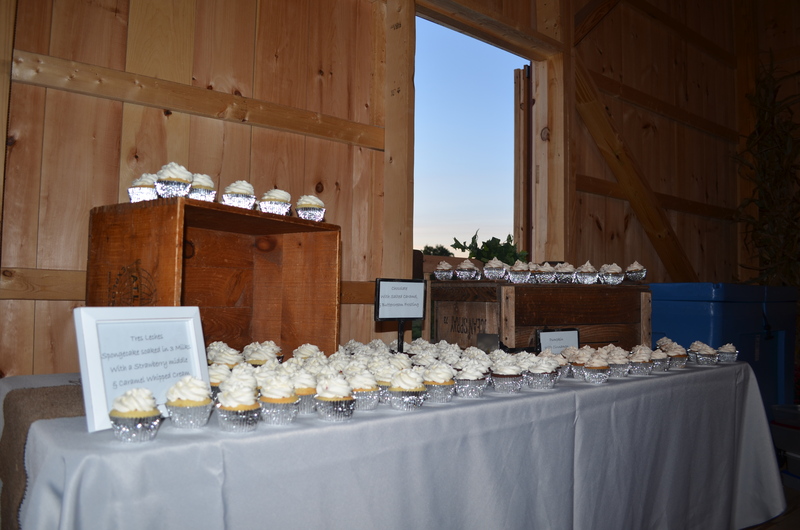 Jill Zimmerman – Thank you for your AMAZING cupcakes! Parisan & Sons Entertainment – Thank you Josh for donating your time to DJ the event! The Coffee Station at Landis Valley , Sweet Frog Lancaster , Keller Brothers Ford , Bombergers , Janae Rose Photography , Meagan Nicole Photography , Sublime Cupcakes , Reflections Restaurant , Fox chase Golf Club , Lauren Eisele with Origami Owl , Stoner Decorating , SGMC , Beams & Brushstrokes , Sturgis Pretzels , Muddy Creek Studio , Quentin Tavern , Lush , The Moveable Feast Restaurant & Catering , Fox Meadows Creamery , Scratch Bakes , JB Zimmerman’s , Salon 717 , Martin’s custom butchering , Doterra Essential Oils – Jennifer Hackman , Premier jewelry , Attractions hair salon , Pellmans , New Holland Family Restaurant , MaryKay , Shady Maple , Creekside Dental , Second Street Consignment , Glennwood Foods , Yoders Country Market , Weaver Markets , Martins Country Market , Sharp Shopper, Dutch-Way, and many more! We love you all and can’t wait to get to Haiti in January to begin construction of New Life Children’s Home!! 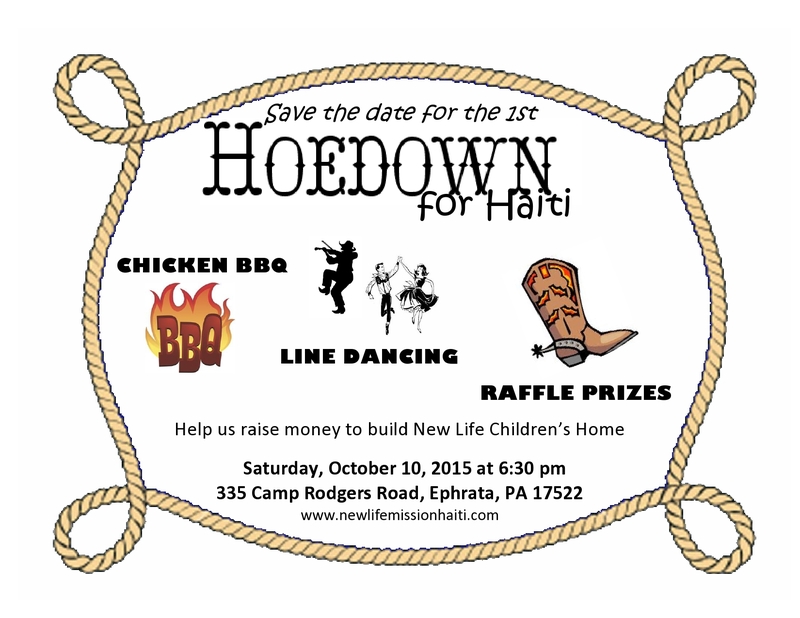 Just wanted to remind everyone of the Hoedown for Haiti on Saturday, October 10th at 630 pm! You can purchase your tickets through sending the above form to New Life Fellowship, 420 E Fulton Street, Ephrata, PA 17522. This way your purchase/donation can be tax deductible! OR you can purchase your tickets online at https://www.eventbrite.com/e/the-hoedown-for-haiti-tickets-15481241811 ! We hope to see you there! It’s going to be a great time! We’re excited for another opportunity to raise money to build New Life Children’s Home! A Hoedown for Haiti! – Looking for sponsors and raffle prize donations! 5 million of the 10 million people living in Haiti are children. 750,000 of those 5 million children are orphans or have been abandoned by their parent(s). 50% of primary age children are not attending school. These statistics are real and they are frightening. That is why our faith-based, non-profit organization, New Life Mission Haiti, is currently fundraising to build a children’s home in the rural mountain village of Charrier, Haiti. We believe that by investing in the lives of the children we can rise up leaders in Haiti to change the country for the better. We want to open a home where the children have a safe place to live with proper nutrition, have an opportunity to go to school, and most importantly, have a chance to learn about their Godly Father. Blueprints have been drawn up, land has been purchased and construction has begun, however there is a significant amount to be raised so we can open our doors in fall of 2016. 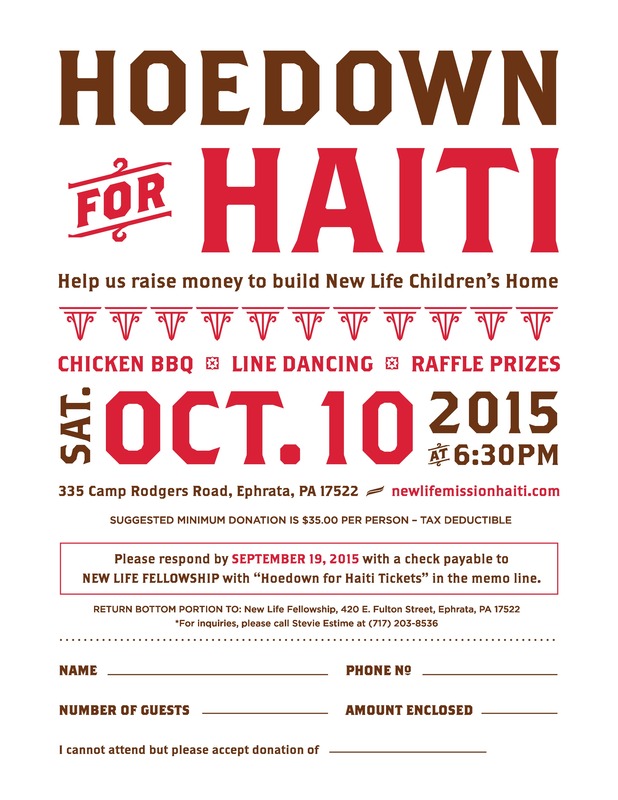 On October 10, 2015 we are throwing the first Hoedown for Haiti in Ephrata, PA to raise money to construct New Life Children’s Home. The night will consist of a good ole Lancaster county meal, raffle prizes, line dancing, and more! This will also give an opportunity to meet our team & learn more about our mission and plans for the children’s home. Will you help sponsor the event? We would appreciate your donation of $100 or more with all donations being tax deductible. All donors will receive two tickets to the Hoedown along with recognition of their generosity in our newsletter, on our website, and at the event. Please make your checks payable to New Life Fellowship, 420 East Fulton Street, Ephrata, PA 17522 with “Hoedown for Haiti” in the memo. So who is excited for The Hoedown for Haiti?! I know we are! Currently we are looking for sponsors for this event. If you have a business, large or small or would just like to personally sponsor, please email us at newlifemissionshaiti.org or send a check with a note to clarify what it is to go towards or to the above listed address. We are also looking for donations for the raffle. 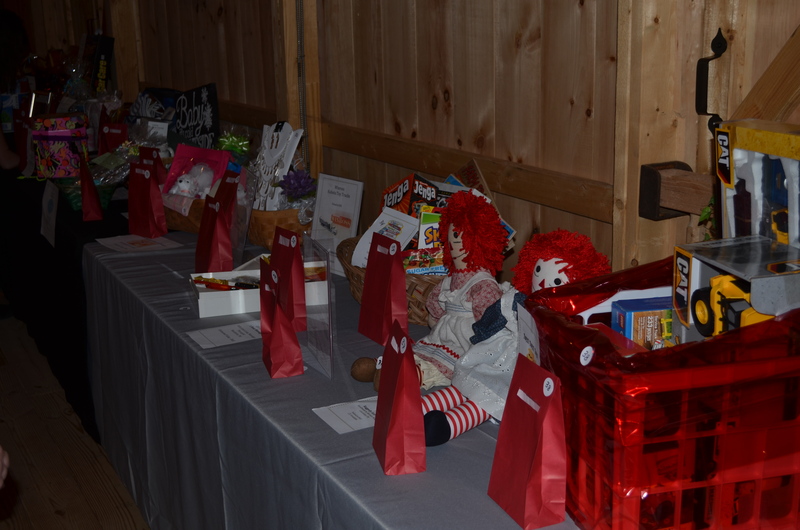 Prizes may included but are not limited to gift cards, services, themed baskets, monetary gifts, event tickets, etc. Prize donors will receive recognition of their generosity in our newsletter, on our website, and at the event. Prizes may be sent/delivered to 134 Niss Avenue, Ephrata, PA 17522 or can be picked up by one of our team members by calling or emailing. This is going to be an event for fun and fellowship with friends so we really hope you can make it! More details on how to purchase tickets will be available soon! Blessings and thank you for taking the time to get an update! 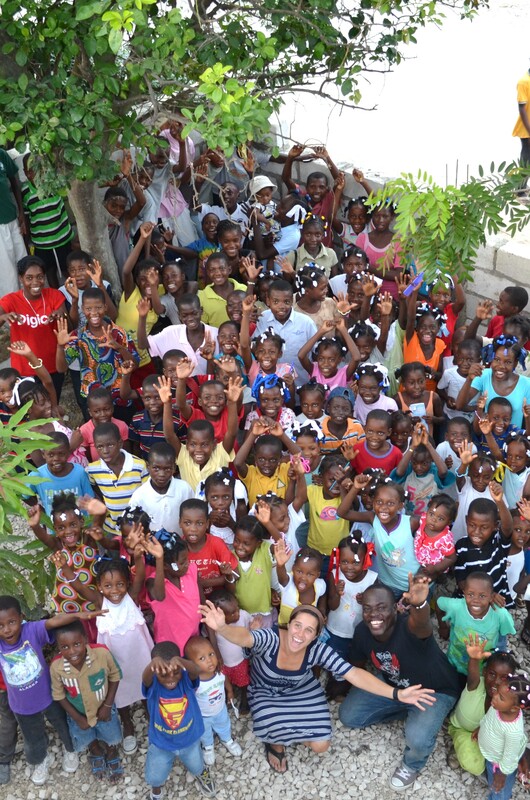 Zacharie & Cindy’s 3 weeks in Haiti with building teams! The attached article gives an update on the 3 weeks of teams in January and February! They were able to finish the storage depot for the children’s home! This 2 room building will store food and equipment. This will allow us the buy & store our own equipment so we don’t have to rent it for every project. Praise God! To him be all the glory! And thank you to every team member and/or those who supported our team members on these trips as they were a HUGE help in completing the project in the 3 week period. We appreciate all your help and willingness to serve SO much! The next project will be the children’s home! This is a proposed 6 room, 3 bathroom house that will cost roughly $90,000! We understand how big that number looks but we have learned firsthand that if it’s God’s will, there is no such thing as big numbers! Blessings! We love you all! 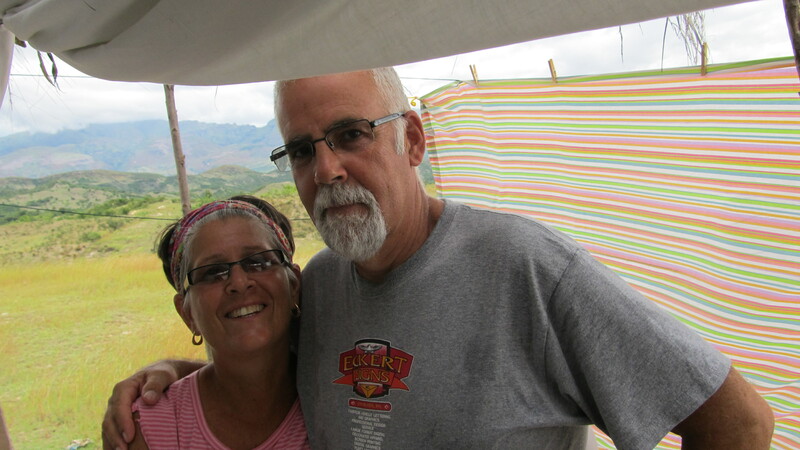 Attached is Rick & Cindy’s newsletter from their 7 week trip to Haiti. Please click the attached link to read more! They would like to send out a special thank you to those who supported them, prayerfully & financially. Without God and your support, This mission would cease to exist! Stay tuned for more updates to come! Merry CHRISTmas! Remember the reason for the season! PS. Check out this video! 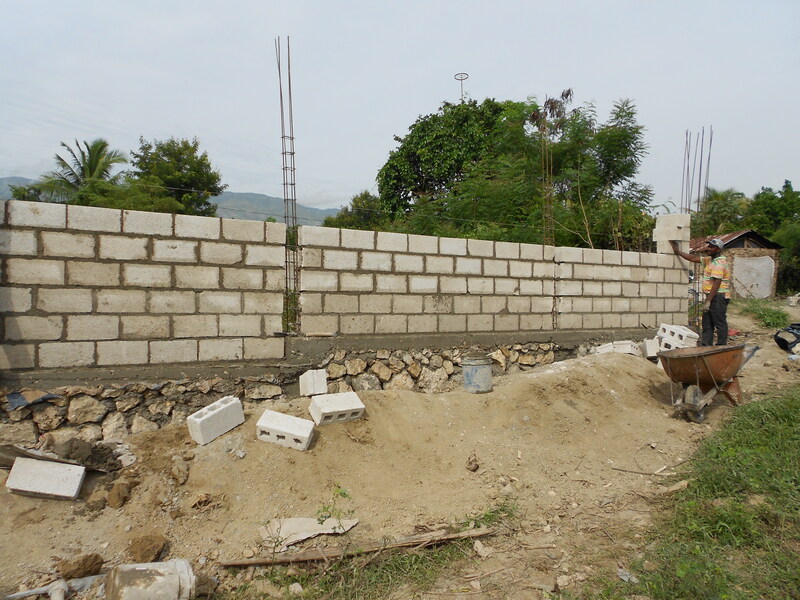 The wall around the 2.5 acre land for the children’s home in Charrier is DONE! After a month of construction and hard work from our crew in Haiti, we are happy to say it is complete! We are just waiting on the BIG steel entry gate to arrive and be installed! PRAISE GOD! Over a 4 month period over $20,000 has been raised to complete this project and we want to thank everyone for your prayers & support! God has been so faithful! Next will be the construction of the house, bathrooms & kitchen! We ask for your continued prayers as we fundraise and await God’s timeline. Zacharie & I would like to contact other missionaries in search of guidance on how to prepare financially, mentally, and most importantly, spiritually when preparing to devote your life to missions. We love you all and can’t say thank you enough if you are even just taking the time to read this! Go tell it on the mountain…. We were first, introduced to the village of Tivye by Stevie and Zacharie Estimé. This village is above Charrier is accessible by foot only. One day as the Estimé’s went for a walk they came upon this village and were warmly welcomes. Several times we visited the village with teams and one day had the opportunity to sit with the elders and talk about their lives, living off the land, and their needs. They expressed their need for a water pump for daily use as well as for irrigation of their crops. 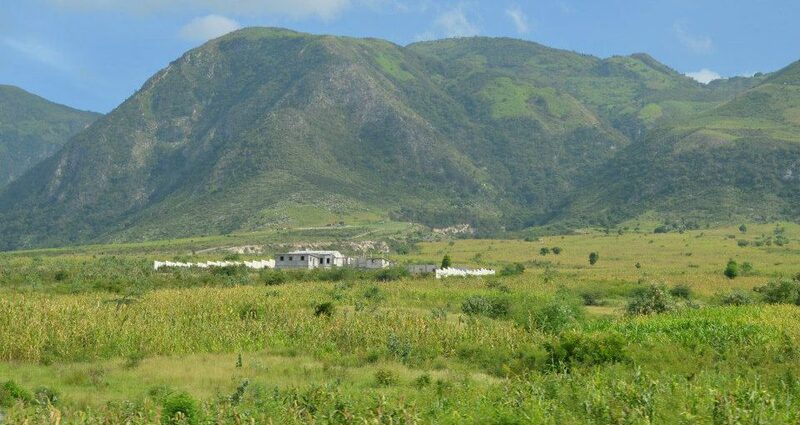 Haiti’s climate includes a rainy season but also a very dry, arid season. During this dry time, crops are lost. We asked them to pray about their needs and they agreed. Later, Zacharie told us that he was surprised they allowed us to pray, as they were a voodoo community. Later a team visited to investigate what kind of pump would be most appropriate and how they wanted to do the project. We again asked them if we could pray for a pump and again they agreed but this time they laughed and made fun of us. Little did they know that God was working. When we returned to the states, two checks were waiting for us to be used for the water pump project. 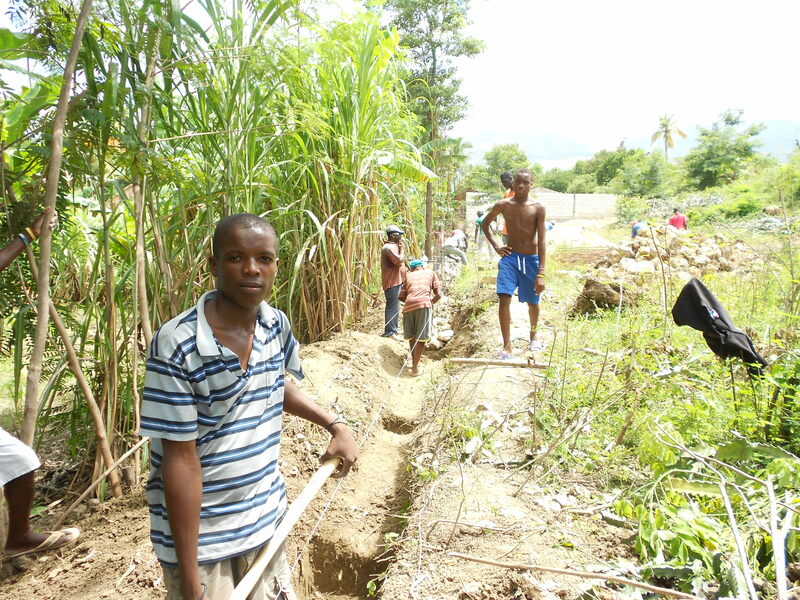 Teams traveled to Tivye in January 2014 to construct a dam and water reservoir and install the water pump. They worked side by side with the Haitians, enjoying fellowship with each other. Later in the year they showed us they expanded the project, creating a canal almost a ½ mile long to channel the water down into the valley where their gardens were. The gardens were lush and green, potatoes, manioc, peppers, bananas and other vegetables were growing and the people were grateful. As we walked to the mountain each day, we saw a primitive structure being constructed a short distance from their voodoo tree. The villagers told us it was a church. There is a pastor and an elder. This pastor asked for prayer to lead the people. Voodoo is practiced there and he knows that his job will be difficult. There have been seeds planted in this community. We are praying that our work there will continue to water and nourish these seeds. Eventually we pray there will be a changed in the whole community. That they may come to faith and belief in Jesus Christ. So, Zacharie and I met when I was on a one week trip with Cindy to Haiti in 2011, little did I know that I would return in 2012 and stay for 4 months where we would meet again. Very soon into that trip God revealed to me that his plans for me in Haiti were much larger than I ever anticipated. I had no idea I was meeting my husband. Zacharie and I were drawn together from the start when we realized we shared a very similar dream and that was to reach out to children. You see, Zacharie and I both lost our fathers at the age of 7. Zacharie’s mother was left with 9 children to raise on her own and my mother with 5. So in our different countries yet similar family situations, we both witnessed firsthand, the struggles of a single parent home and the challenges it can cause. Our hearts go out to the many children in Haiti who grow up in like scenarios whether with one parent or without any. A lot of these kids are sent to live with another family because their own cannot provide for them. Many are forced into slave labor like conditions and never have the opportunity to even go to school or feel the true love of a parent. We feel that God is calling us to return to Haiti to help these kids. We want to raise them in a loving home where they can grow up with hopes of a future. We want them to learn to be confident in themselves and help them realize their potential. We hear God telling us to rise up leaders in Haiti who are proud of their country. We hear God telling us to teach these children about his never ending love for them. So here is our vision – to build a children’s home in Charrier. We were recently blessed with the opportunity to purchase about 2.5 acres about a mile down the road from Zacharie’s Momma’s house and New Life mission’s mission house. We have begun fundraising and hope to open up New Life Mission’s children’s home before the end of next year. The financial needs are great, but let me emphasize how more importantly your prayers are for us. One of my favorite verses is Mark 9:23 which says, “All things are possible for him who believes.” We know that our dreams are big but we also know that our God is bigger. Zacharie and I can both say we have clearly received this calling from the Lord therefore we BELIEVE that he will provide. So please pray for us that we do not lose faith throughout this whole process and that we are patient in waiting for His timeline. You know it’s funny, God has already shown us in what may seem little, but truly are huge ways that he is going to show us so much along the way. Recently, the flower girl in our wedding turned 10 years old. And when I received her birthday party invitation in the mail it read, “Instead of presents this year, I’m asking you to bring donations to give to Haiti. 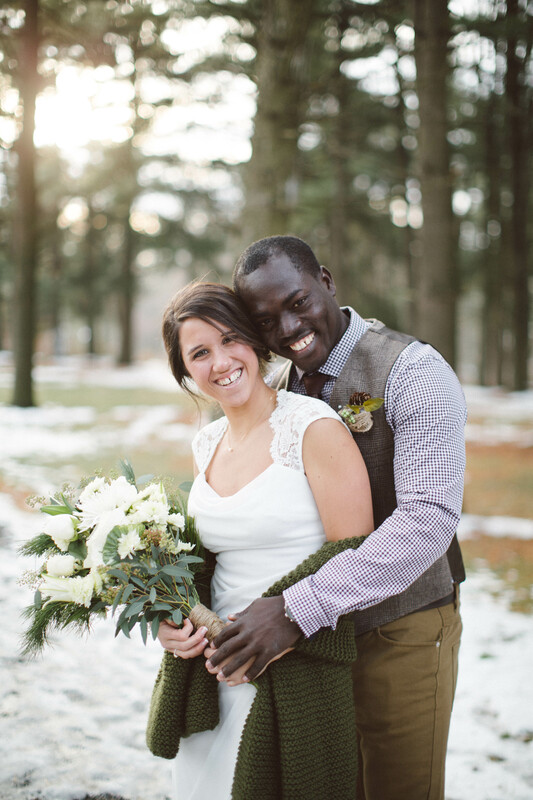 Our friends Stevie and Zacharie are moving to Haiti and starting an orphanage. So I’m giving them my birthday money to help them.” Her mother told me she had no prompting and told her that this was all that she wanted. I well up with tears every time I tell that story. Then 2 weeks ago I had a patient at the hospital that is battling what has been a long journey with brain cancer. A coworker of mine informed her of our plans to return to Haiti. She then, without question, asked me for an address as to where she could send a check. She told me that she has been so richly blessed in her life and wants to give as much as she can away before she passes. The same lady whose husband had also died several years earlier from cancer was telling me how richly blessed she has been. Needless to say, he will be glorified through all of this. A lot of details have been left today and there is still a lot of planning to do. So if you have any questions please feel free to ask! My email is stevanamorris@gmail.com . We’re so excited to see the ways in which God is going to make this dream come alive. So please join us on our prayer journey and walk along side us as we hope to live out the plans he lays ahead of us.